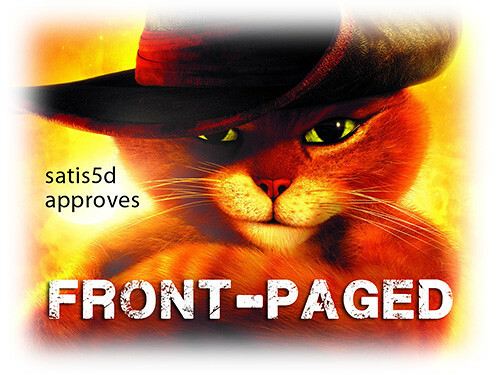 Thanks Satis5d for your review, I fixed these in version 5 in original post. Also I was able this way to reintroduce a part I cut out in version 3 because of this same problem that I could not fix then. Also found another spot where 'show' should be one semitone lower (I think... ). satis5d wrote: There's a sour note at 3:09 (and a couple more like it) on "I kicked the HA-bit" and "This is the NEW song." Sounds like 1 semitone flat (low) to me. Maybe I didn't express my self well, I wasn't against the echo, actually, it was a good idea to use it, I just felt it should be used more gently. As far as the note changes, I think the notes satis5d was referring to were more of the D♭’s I referred to in the first post. I thought they had been brought down to C’s in an earlier version, but now I’m not sure... Anyway, like I was saying, you’re probably better off being consistent, rather than bringing some of them up to D (all due respect to satis5d), but you’re starting to get feedback pulling you in all sorts of directions so I don’t want to try and persuade you in any particular direction. In general, though, the pentatonic notes of the scale (in this case E♭ F G B♭ C) will be the most “consonant” (safest). But if you like the sound of D note better in this particular case, that’s all that matters--music is way more interesting when the “rules” are broken! Overall the piece is quite enjoyable and exhibits nice craftmanship. While I agree with Smash that maybe less echos would work better, the level of echo in v5 is acceptable enough to make it a matter of taste. MashGyver wrote: The harmony sounds great! To me it now sounds close enough to the original, even with the changed notes, that I doubt most people will notice the melody was modified so much. +1. You navigated the major/minor/mix clash nicely. 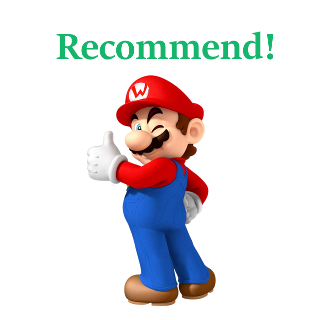 Thanks Warezio for the recommend on version 5. I still lowered the amount of echo in a new version 7 (in original post now with comments) like SMASH (and you) suggested. Went back as close to the pitches of version 3 (the MashGyver Harmony one) as possible. I will remember now to save intermediate projectfiles with old plugin-settings. Instead of just keeping the old tracks (with the time and pitch corrections from previous versions) on mute in one BIG projectfile. Thanks MashGyver for explaining on the D-notes and the pentatonic reference, I will look that last one up. I know that it can be miserable to continually edit the same piece of music. Sometimes the same parts get pushed beyond their limits and you have to almost start fresh with them to avoid artifacts from appearing. This seems to be the case at around 3:15, 3:25 and 3:35-3:42. I am hearing a distinct noise in the vocals that shouldn't be there. Other than that, you really did an admirable job on my earlier issue at around 3:09. These notes sound correct to me now. Finally, Peter sounds like he's singing karaoke to me in this version. I see that you pulled the effects and echo back a lot, but maybe it's too much. For me this isn't a deal-breaker, but the "masters" of mashups seem to get these details right every time. I really appreciate the amount of work you've put into this project and your willingness to accept the various feedback as opportunities to learn. I'm very close to putting this one on the FP. Thanks Satis5d for your new review. To fix the artifacts (I think I was the overspill of instruments on the not-so-clean-acapella, gsnapped and delayed) I searched for a better, cleaner acapella and found one on youtube. Rayman gave me the original mental, so I used that as well. Also cut back on the delays: fewer spots to apply, shorter sample, shorter 'runout time' after that. Because I switch the delay on and off with an automation envelope, the moment of switching of influences the number of possible repeats. New version is in the O.P. Your persistence has paid off. The timing isn't exactly perfect everywhere, but it's so close that I'm not going to insist on a version 9. A very chill mix, CVS.